The simpler, safer way to pay and get paid. PayPal is for everyone who pays or gets paid. 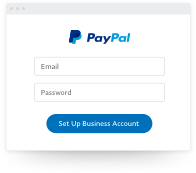 Join more than 7 million businesses around the world offering PayPal. 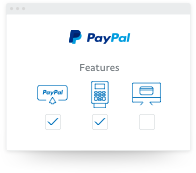 Work with PayPal to offer your customers world class payment solutions. Set up a business account. Choose the features you want to start with. You can go back, change or add to them later. 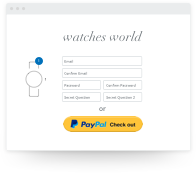 Integrate PayPal via a partner, a developer or by yourself. With just one account, you can shop at millions of merchants around the world, and pay for goods or services almost anywhere. Use any of your devices to manage your account on the go with the PayPal app. 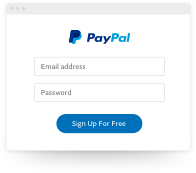 It’s free to open a PayPal account and buy something using PayPal unless it involves a currency conversion. There may be fees for other transactions.